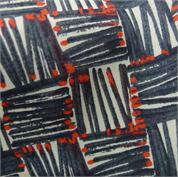 Sign up to the Tessuti Email Newsletter to stay up to date on all new fabric arrivals. Specials, discounts and sales (in advance of the general public!). Sew Inn - sewing course announcements and updates. News on sewing events like the Tessuti Awards. Our in-store sale is heading into its final days and MUST END this Saturday 28th July. For our online customers, we're having a 24 hour SALE with 20% discount on all purchases over $100. Just enter the code 24SEWSALE at checkout. Plus, the first 20 orders over $150* will receive a free copy of Pattern Magic 3 (in Japanese, valued at $39.95. Online sale ends Thurs 26th July 11:59pm AEST. *NOTE: All purchases over $150 receive free shipping. Here's a collection of Liberty to make you swoon! We're now carrying over fifty new Liberty tana lawns (100% cotton). Featuring the latest selection of seasonal prints, there's a brilliant range including modern, floral, vintage and abstracts in a breathtaking range of colours and designs. All available instore and online now. 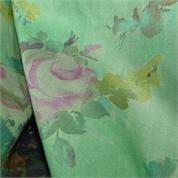 Soft, textured silk perfect for tops, dresses and skirts. Floaty and sheer, this silk/rayon floaty features a graphic copper font reminiscent of a 60s style. Liberty of London (100% cotton) tana lawn, also available in grey. 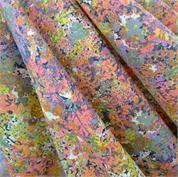 This drapey, printed herringbone silk will make a great statement shirt, dress or top. 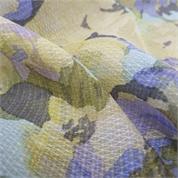 This light, 100% silk mesh makes a great statement scarf. Also suitable for jackets, dresses and skirts. 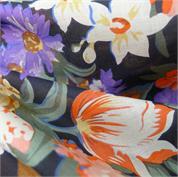 Fabulously vintage, this Liberty of London tana lawn would make up perfectly in a summer style. Stunning printed cotton floral. Perfect for a fresh spring outfit. 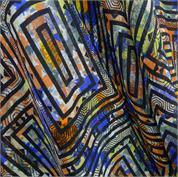 100% printed silk featuring a fabulous watermark, tie-dye effect. Striking (get it?!) Liberty tana lawn, also available in blue.